We’ll also be playing songs from “A Chorus Line,” “Little Shop of Horrors,” “This Is the Army,” “La Cage Aux Folles” and several more. Join us again in our “happy place” in the world of musical theatre where “even the orchestra is beautiful” (Sorry, you’ll have to wait for October, November, March, or April for “Cabaret.”) It’s all about good music and good friends every Sunday at 7:00. 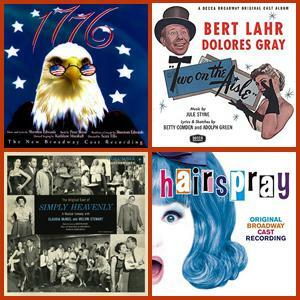 Listen to a program of songs from some of the shows that opened in July and August.